"Dr. Sharma is such a polite, patient, & calm person. Staff is very supporting. " "Dr Sharma was very clear & professional. She takes time to explain her observations." "Great service! The staff is so nice & will explain everything clearly." "Very friendly & courteous staff. Very detail oriented & they took good care of me." "I had Deep Filling & Root Canal done here. It was a superb experience." "Dr. Sharma is very detail oriented & keeps good communication with her patients." "After excellent service here, I'd say the distance won't matter if I moved away." We Speak English, Spanish, Hindi, Farsi, Urdu & Punjabi! Sumity Sharma, DDS, at California Happy Teeth Family Dentistry in Milpitas, California, is an experienced practitioner who specializes in family dentistry. Dr. Sharma received her dental degree from the highly competitive Government College of Dentistry in Indore, India. During her time there, she led pioneering work in the field, leading to national recognition for her studies. Since receiving her board certification from the California Dental Board, Dr. Sharma has practiced dentistry in the Bay Area in various work environments, making her extremely capable of juggling high-priority tasks simultaneously. Through her compassionate and caring approach to dentistry, Dr. Sharma is committed to giving her patients the most comprehensive care possible. She uses state-of-the-art technology to achieve her goals, though her foundational philosophy is to establish meaningful relationships with her patients so that they get the most appropriate care, not just the newest piece of tech. Dr. Sharma is an active member of the American Dental Association, the California Dental Association, and the Santa Clara Dental Society. 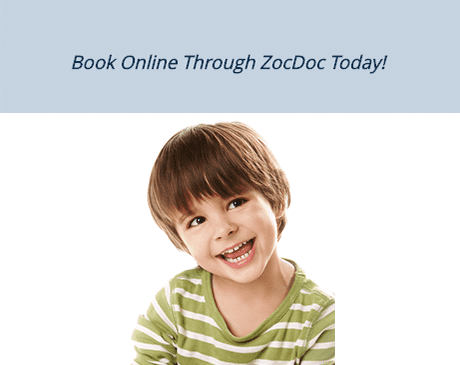 Bring the whole family to our Santa Clara dental office. Our team bends over backwards to ensure your experience is happy! Dr. Sharma uses the best techniques, materials and technologies. We always offer great dentistry at reasonable and predictable fees. Tooth, mouth, jaw or facial pain? Our team is here when you need us. For your convenience, California Happy Teeth Family Dentistry accepts most major insurance plans. Click on "View full list of companies" to see a list of commonly accepted insurances. This list is not entirely inclusive of all plans we accept. For specific insurance plan inquiries, please contact the office . "She saved a tooth which was not in a condition to be saved. The other doctor told me to remove it & have a bridge in its place. She performed a root canal & saved it"
"What an amazing job you did! I'm compelled to share, you saved me from all unnecessary recommendations from other dentist but also cared with my dental plan." "Simply put, Dr. Sharma made a root canal feel like a cake walk. Both she & her assistant were extremely comforting and patient." "She did a great job fixing my chipped tooth. I'll continue to come back because they definitely made me feel welcome & were professional!"